18th century palace of the Princely House of Thurn and Taxis. 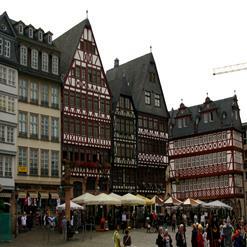 In the 19th century, it served as the parliament of the German Confederation. Unfortunately, apart from the front facade, most of it is reconstructed. The reconstruction has a smaller scale than the building's original 18th century size.